Do you remember waiting in the wings for your moment on stage for that one day in the year? Skipping classes and staying back after school hours for rehearsals? The excitement leading to the D-Day? 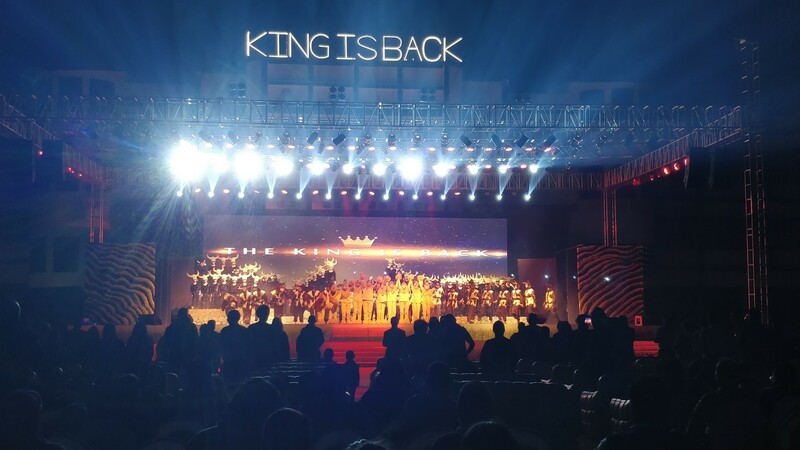 The highlight of the process of putting together an annual day production on such a grand scale was the engagement and commitment by the students, teachers, school staff as well as the active support by the entire Coast Guard community. 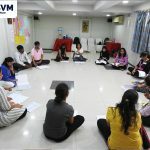 The school engaged in a 7-week rehearsal process to ensure that the students not only rehearsed for the production but went on a learning journey with the directors and choreographers. It was the first time that the school worked on a full-blown production. The entire school ground was transformed to a large scale performance space. The 9th and 11th-grade students chose to be a part of the large production team that was in charge of the costumes, sets, backstage, props and one of them even operated the sound on show day. According to Tasneem, “Putting together the right team for each project is possibly one of the most challenging tasks at the start of the annual day.” Our team for King is Back comprised of Sudeep Modak himself as the director, lead choreographer Neha Jadhav assisted by Meera Mehta and Riddhima Sonigra. Music and vocals were led by Pooja Pant. And no annual day project is complete without our production manager, Anuja Kale. With the success of this production, we are getting ready for our next big annual day at Jamnabai Narsee International School, Mumbai with two productions. The Primary Years Program learners are doing a story on the five elements being directed and choreographed by Sugandh Lamba and Forum Sampat. The middle and senior school learners are rehearsing for the musical Les Miserables directed by Gurleen Judge and choreographed by Forum Sampat. 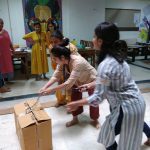 Middle school teachers complete the second stage of our Using Drama for Learning Programme at The Heritage School, Vasant Kunj, New Delhi. 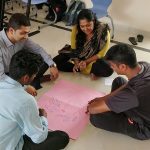 Srividya Srinivas takes her experience in MYP Drama and shares it with Art teachers from various branches of Oakridge International School.